After podcasting for a while and you may see old episodes disappear from podcast directories and your RSS feed. Here are seven things you should know. 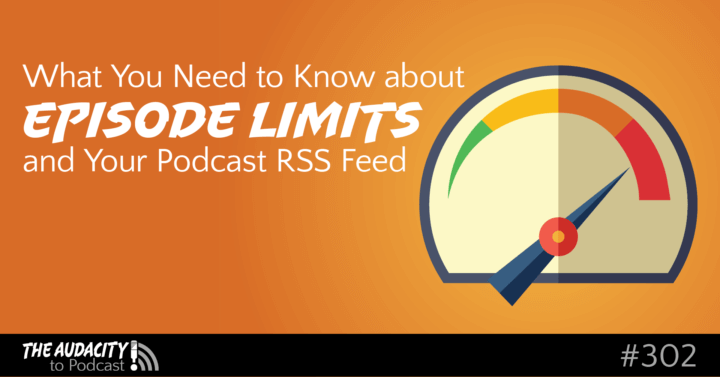 WordPress, Libsyn, or whatever else you're using to create your RSS feed is also what sets the limit on how many episodes that feed can hold. If you use FeedBurner, it doesn't affect the episode limit in any way. Be careful increasing or removing the episode limit. 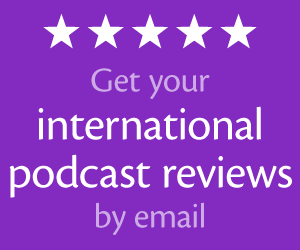 Every additional episode will proportionally increase the size and decrease the speed of your podcast RSS feed. For example, a feed with 200 episodes will be approximately double the size and double the load time of the same feed with 100 episodes. There are some exceptions and workarounds to this, which I'll explain in my next episode. Apple's podcasts directory currently limits podcast listings to 300 episodes. (There are some rare cases where 301 or just below 300 will display, perhaps due to a bug.) Other podcast directories may have lower limits. But thanks to the wonderful, decentralized nature of podcasting, these directory limits don't matter. That's because most people subscribe directly to your podcast RSS feed, so the directory has no affect on what the subscriber has access to. Thus, it's possible for your subscribers to see all of your episodes, almost regardless of what app they use, even if the directory shows fewer. There are some “walled garden” apps that don't honor the spirit of podcasting and may limit what the user can access because the app doesn't actually subscribe them to your feed. A current-events podcast, for example, has little to no value in old episodes after the events have passed. This may be only partially true for fan-based content (TV shows, movies, sports, etc.). Thus, increasing your episode limit may not provide any extra value to your audience, because you're only exposing irrelevant content. On the other side of irrelevance is timelessness. When your content has long-term value, it has “long tail.” These are the kinds of episodes that are still relevant today. You may often refer back to them, they rank well for common search terms, or they provide content that will always be valuable. Fan-based content (TV shows, movies, etc.) is most relevant during the release of the stuff your podcast is about. But there's still some long tail because people may watch the TV show or movie years later and want a podcast to follow with it. If your content is truly timeless, then increasing your episode limit exposes more valuable content to your audience. Easy access to timeless content (via Netflix, podcasts, and more) feeds our present binging culture. Some creators are even publishing entire seasons of content in one big drop instead of slowly over time. Even if you publish episode over time, it doesn't take long to build a back-catalog of content. If someone enters your podcast through high-quality, relevant, engaging content, it's likely they'll go back to consume older episodes. They may even do this in a very short amount of time (thus binging). The more episodes you offer to subscribers, the deeper someone can get engaged with your content. And the deeper they get engaged, the more loyal they become. 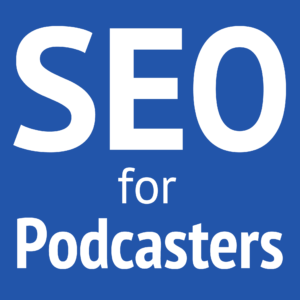 Lastly, your podcast's findability (or search-engine optimization (SEO)) within podcast apps and directories is often greatly affected by the episodes in your feed. Apple's podcasts catalog, for example, searches not only show-level information, but also episode-level information. Thus, you could be found for a search based solely on a single episode when your show-level information doesn't contain any of that content. The more episodes with good titles you have in your feed, the more opportunities you have to be found for various terms, or to rank better for specific terms. Come back the next episode to what you can do when you have too many episodes in your feed! Whoot Whoot! Heard my review read aloud! Super excited! Thanks, Lenny! 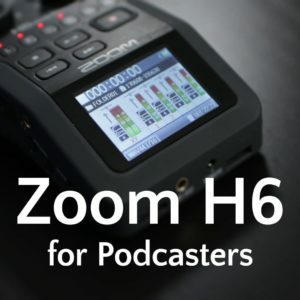 I updated the show notes with your podcast name and link to your show. Do you watch Once Upon a Time? The main character (Emma) grew up in a tough foster care system. Question – limiting the episodes on the feed – they would still be playable and accessible on my website blog posts, correct? Just not in the directories?